The Disney Blog had some very interesting photos and video to share this past week, introducing fans to some new park dining locations that grabbed my attention. Disney California Adventure will soon open the Carthay Circle Theatre at the end of their new Buena Vista Street entrance area, and in it will be two different food and beverage locations. Pictured above is one of the first looks at the Cathay Circle Restaurant which Disney released. 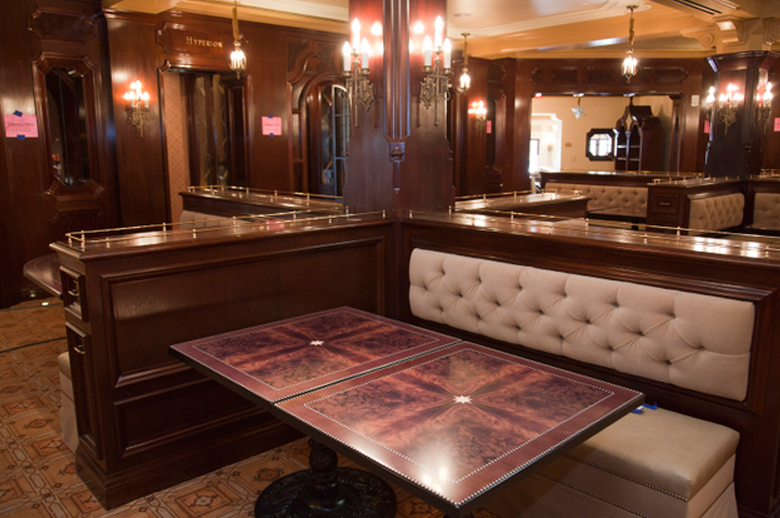 As nothing is without a back-story at Disney, the Carthay Circle Restaurant "will take guests back in time to opening night of “Snow White and the Seven Dwarfs,” a historic night for Walt Disney and his studio. Re-creating the excitement of that night, Carthay Circle Restaurant will immerse guests in the post-screening atmosphere – as if they are celebrating alongside Walt and Lillian Disney, themselves." 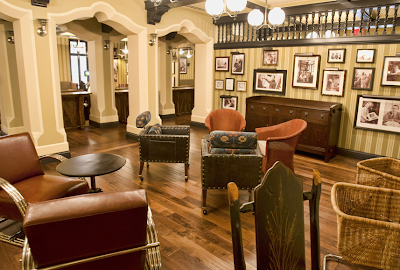 Another part of the Carthay Circle Theatre will contain this beautiful lounge, a place I will likely never see the inside of with my own eyes. 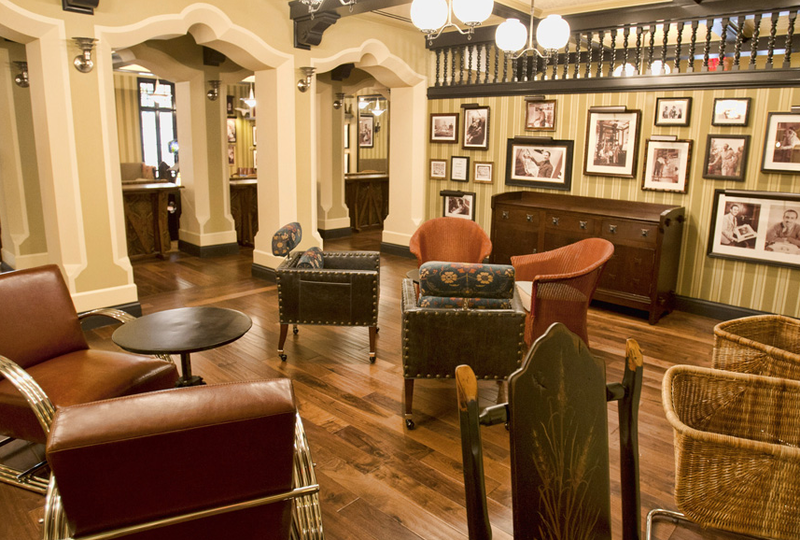 The exclusive 1901 lounge is named after the year of Walt Disney's birth, and will be open only to members of Club 33, a private dining room and club located in Disneyland. The walls are lined with photographs of famous animators and their work, as here the back-story again plays an integral role: “Imagine it’s the 1930s, and this is where the animators would’ve hung out, swapped stories, doodled on napkins,” as 1901 is described by Imagineer Ray Spencer." Could you imagine if all parks spent that amount of time, energy, and cash on just a lightning fixture? While that may not be the case, it is warming to know that at least one place does. The elaborate chandelier will be located in the new Be Our Guest restaurant, a part of the expansion of Fantasyland at the Magic Kingdom in Florida. The large dining room is meant to perfectly recreate the ballroom scene from the famous animated feature, Beauty and the Beast, and so far it looks like they're doing a great job! The dining room is one of two, the other is themed "after the darkened West Wing of Beast’s Castle." That one is being kept a secret for now, but I'm anxious to see what that one looks like.